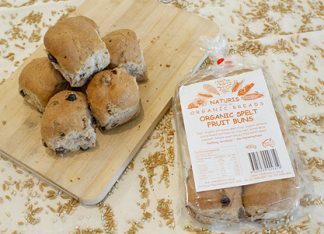 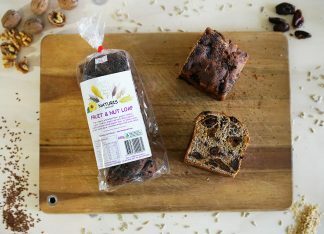 Ingredients: Organic buckwheat flour, whole buckwheat kernels, rice flour, buckwheat leaven, organic sultanas, organic currants, organic apricots, dates, walnuts, sunflower seeds, organic olive oil, sea salt and purified water added. 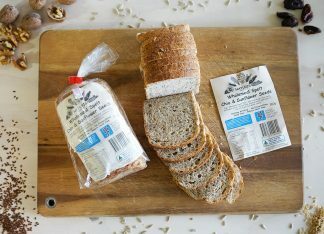 Please note: while not all the ingredients in this bread are organic, we only use natural and non-GMO products. 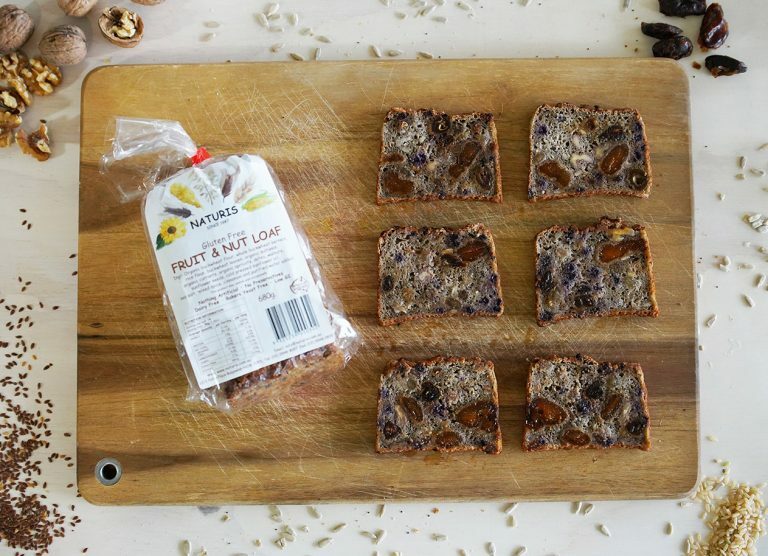 Wherever possible Naturis sources organic ingredients.